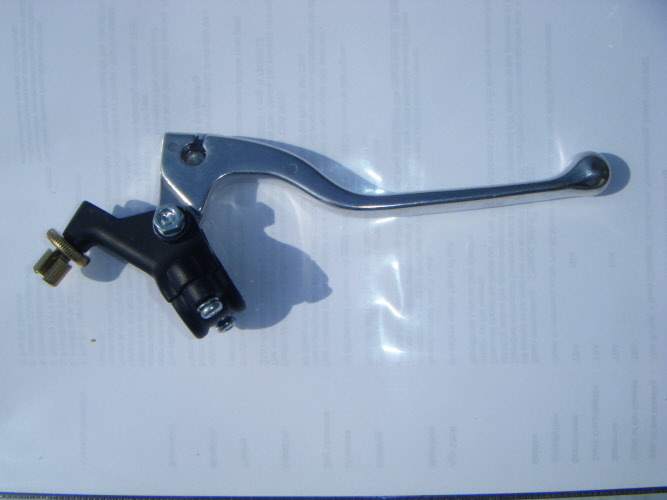 Long Alloy pattern clutch Lever with 8mm diameter cable hole. 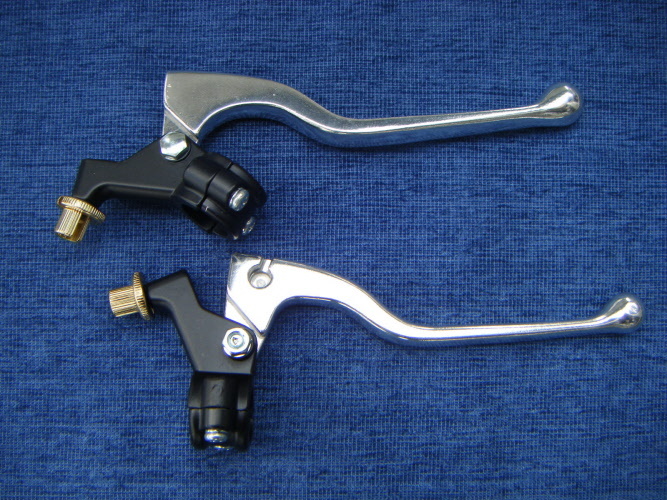 Universal Long black lever assembly. Steel Competition Clutch & brake set. Save yourself £2 by buying the pair. 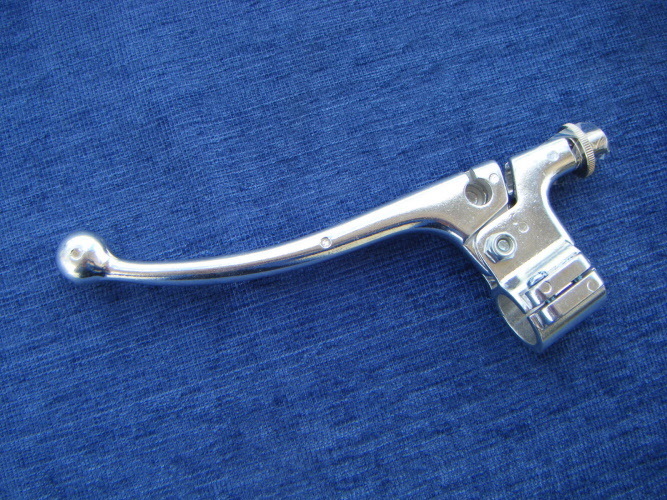 Single competition steel clutch lever. 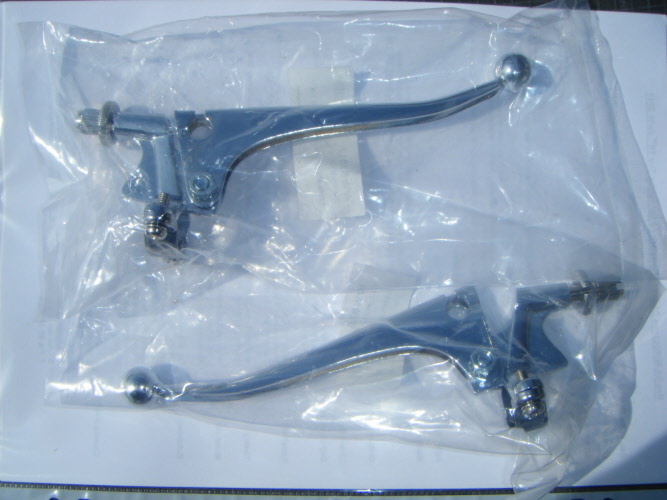 Amal Pattern Alloy Clutch & Brake Lever set. Fits 7/8" bars with a cable hole diameter of 10mm. Save £2 by buying them as a pair. SP0023A Temporarily out of stock! 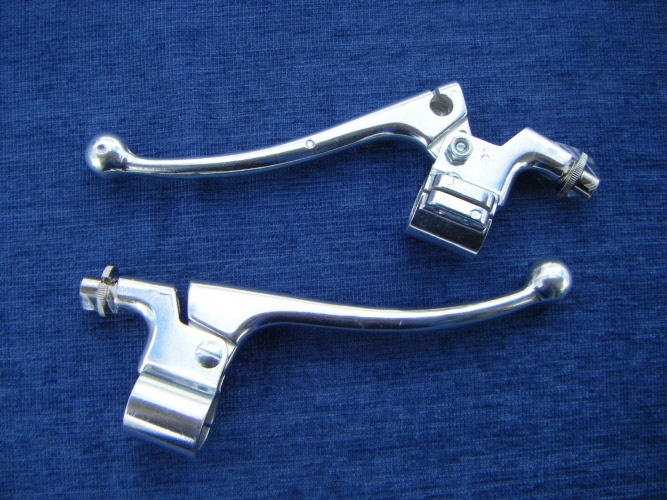 Amal Pattern alloy Clutch Lever Fits 7/8" bars with a 10mm diameter cable hole. 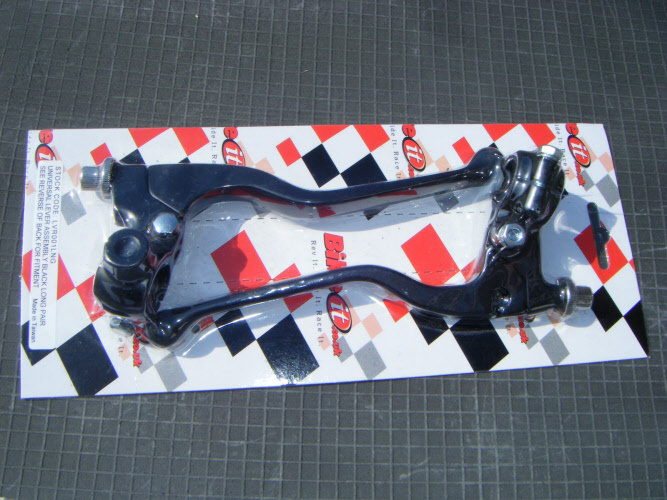 Amal Pattern forged alloy Clutch Lever Fits 7/8" bars with a 10mm diameter cable hole.